At one point there were plenty of Marjon-made publications. From the official and professional-looking ones like Marjon Magazine and Cremorne review, to the button-and-string–budget, self-made newspapers like Ladle and the Marjargon. And the last one is the one we got our hands on recently. And the Marjargon is one that transcendents the typical humorous publication. I really wish we had more of those, but I guess those home-brewed project don’t stand well against the test of time. Che Guevara and exec reports. And the connection is…? and commiserations, but very unlike any you ever read. A notable example: ‘Congratulations to the clever bugger who tried to break into the fruit machine and snapped the key off in the lock- it takes a thief not a pillock.’ Even the events advertisements are a bit surreal. 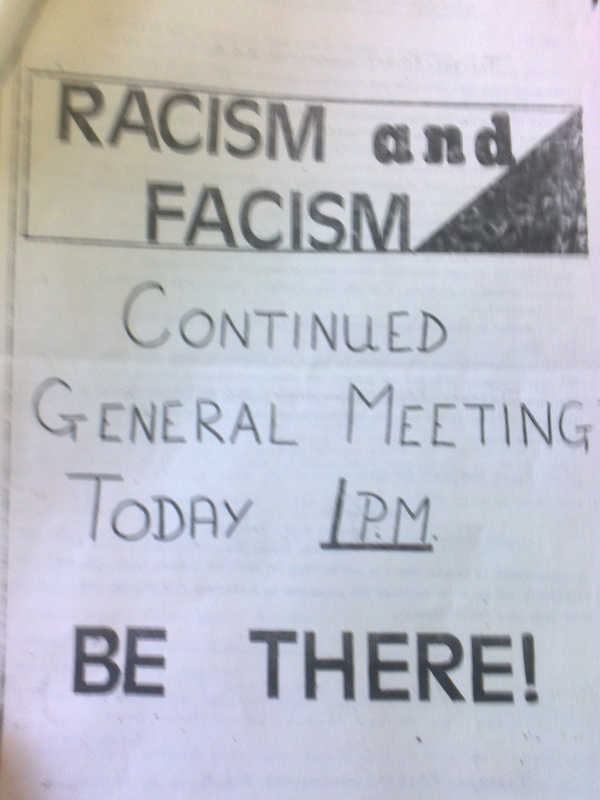 The poster for debate about the facism and racism had a stern ‘Be there!’ order printed below the info. The only thing that was half-serious is the strong influence of the ’80 Marjon Anti-Nuclear Society, that just restricted itself to printing satirical cartoons…well most of the time. In fact I’ll try and see if I can find something more about. 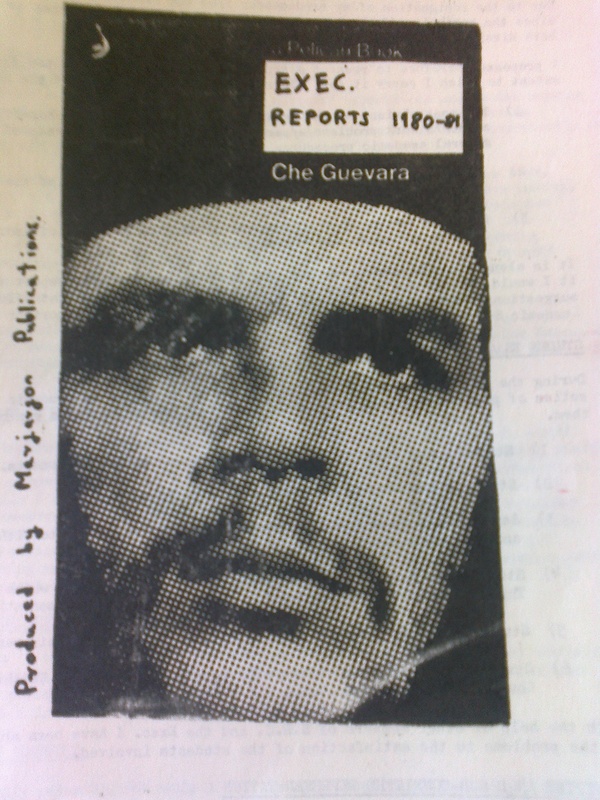 And for the love of cheezburgers, can someone tell me why there is Che Guevara in the Execs report ’80-81? Dancing activists- political societies of the fifties in Marjon.